The first step to a dry and damage-free home is keeping your roof in good shape, which in turn, prolongs its lifespan. This means catching the early signs of weather damage and taking advantage of appropriate solutions to remedy any problems you identify. You can do all these through a comprehensive roof inspection, which should be performed by a premier contractor. Why Have Your Roof Thoroughly Inspected? Simple–a regular roof checkup can prevent issues from worsening, which means less damage and fewer expenses. A thorough inspection, in fact, can even stop problems from forming in the first place, allowing for reliable weather protection and longer-lasting performance from your roofing system. What Should You Watch for During a Roof Inspection? Look for any hint of damage to your system, whether it’s been inflicted by hail, wind or sun. This is especially crucial following a major weather event when you should check roof protrusions, like plumbing vents, skylights and chimneys for broken seals. These are the more leak-prone areas of your system, which make it easy for rainwater to seep into your home and deal extensive damage. Check for standing water around skylights and examine vent stacks for wearing or tearing. They might require resealing and painting to keep them intact. Don’t forget to be mindful of your shingles–if you spot pieces on the ground, you’re looking at roofing material that’s no longer protecting your roof. Attic insulation and ventilation should be checked for damage, as well. Why Leave Roof Inspection to a Pro? It might be tempting to do the inspection yourself, but the job is best left to experienced roofing contractors because they have the training and experience necessary to perform roof inspections safely and thoroughly. Because they can spot any hint of damage, there is less chance of overlooking problems. Licensed to perform this kind of work in your area. Experienced in a variety of specializations, from roof inspection and repair, to replacement and maintenance. Insured, with workers’ compensation and liability coverage, to protect you and your investment Certified so you can benefit from superior workmanship,high-quality products and generous warranties. 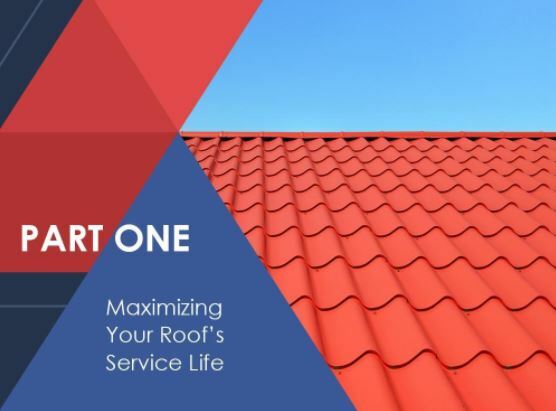 Stay tuned for Part 2 of this blog series, where we’ll be discussing how you can effectively deal with common roofing problems.